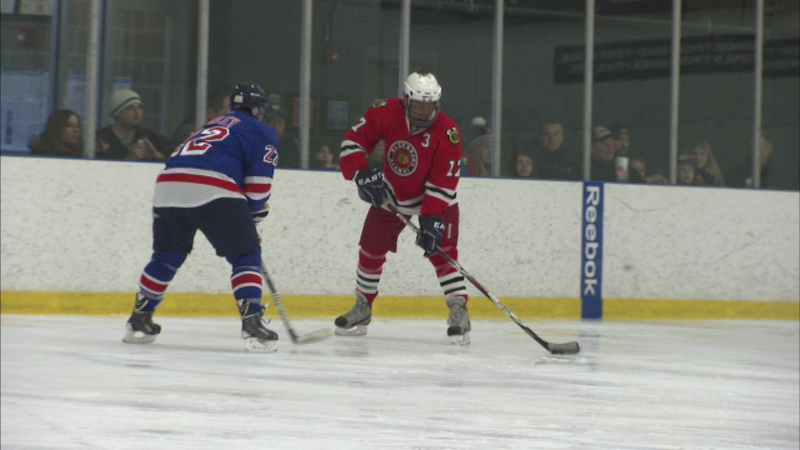 CHICAGO (WLS) -- Local athletes and personalities laced up their skates for a hockey game benefitting the Wounded Warrior Project Saturday morning. A team featuring ABC7 Eyewitness News anchor Ravi Baichwal played at Johnny's Ice House West on Madison Street against military veterans injured in the defense of our country. The Wounded Warrior Project aims to help vets re-adjust to life after combat.